As an AVID elementary, we take pride in getting our kids organized and prepared for the path that leads to college and career readiness. 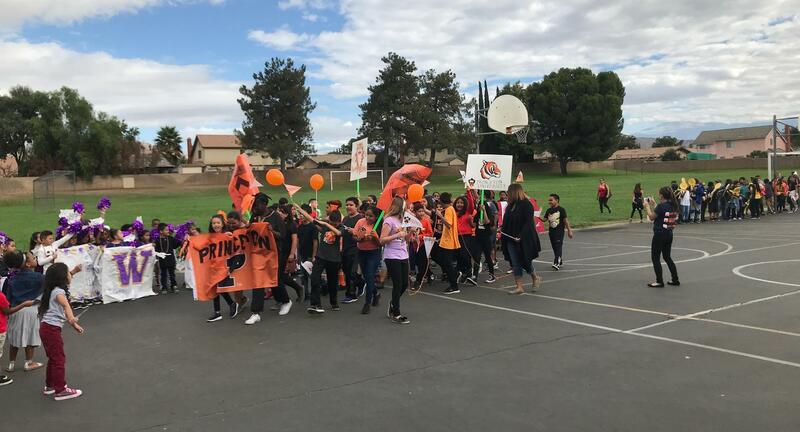 We kicked off our week with spirit days and also had a College Parade. Each classroom adopts a college or university for the year and will learn about the school as well as the expectations and majors known at that school. Parents showed off school spirit too and rallied with us on the sidelines of the parade! As an AVID elementary, Sunnymeadows is proud to show off organizational skills that help students to become college and career ready. Beginning the first week of October, we will have a spirit week to show off our chosen colleges and universities.